Get a surprise gift for yourself ! What you will get in lucky bag ? -you will get at least 3 items or above , which items total worth RM30 and above. The items might contain diaries, notebook, stationary, washi tape, stickers, bags, and other cute stuff. 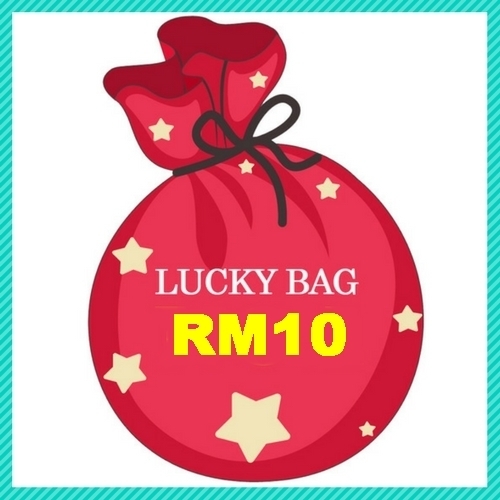 -you will get at least 3 items or above, which items total worth around RM100. The items might contain Korea import stationaries, diaries, notebook, stationary, washi tape, stickers, bags, and other cute stuff. ** The items will be variances for each bag, however some items might same if you buy more then 1 lucky bag. ** All items in lucky bag making no profit, even lost, we just wanna to play a game with all of our customer. Enjoy the game! ** If you unable to accept random items, think twice before you place order.